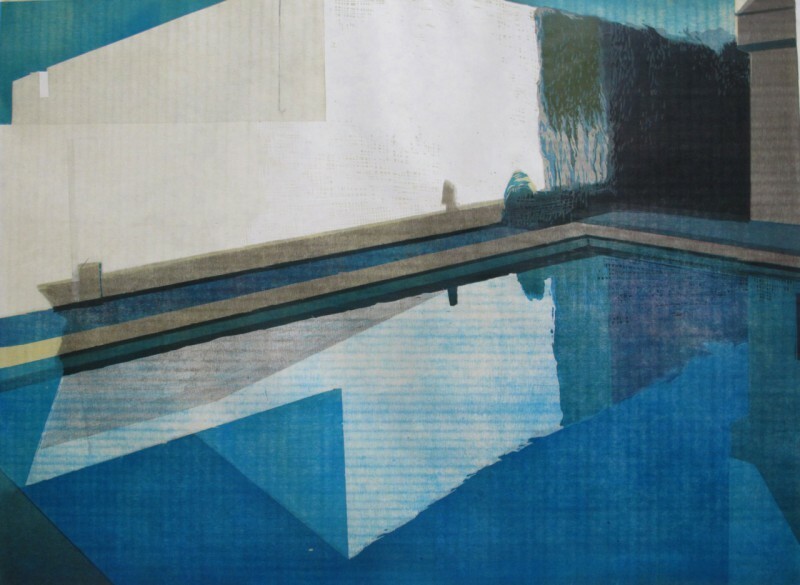 Goedele Peeters is one the foremost Belgian printmakers of her generation working in a range of print media, from intaglio and lithography to relief and artist books. Water reflections (morning featured in above image) of a courtyard inside a residence in Tripoli, Libya were created during artist's residence sponsored by the Belgian Embassy in Tripoli. Here are images of Goedele conducting a demo a year ago in which she used hand-soap to create drawing. She also inked, processed and opened the stone using the more traditional European-Czech method in which the stone was inked with black ink, before etching.